Dealing with e-commerce? You need Localization! Presence on the web, particularly in the case of e-commerce, is inextricably linked to building multilingual communication. Although English is a global language, widespread on the Internet, about 75% of consumers choose products that they can read about in their regional language. At first thought, this may seem weird. People who buy online are expected to speak English, can navigate through the global village and have no problem with making virtual payments. However, even such open-minded and digitally capable people feel attached to their own language. If you think for a while why it is so, you will quickly understand what is driving them. These are emotions that are particularly strong when something is close to your heart, like your mother tongue. The same holds true when it comes to business negotiations. Without a perfect command of languages, it is difficult to formulate sentences as we would like to do. Here, translators are of help, who will express our thoughts in foreign words and make us aware of cultural differences. Let’s start with the key thing, i.e., the difference between translation and localization. Translation involves rendition of one language to another. Localization is also rendition, yet one that has been adapted to cultural constraints. Localized content should evoke the same emotions as those evoked in the source language. Only localized content can guarantee consistent communication in your country and abroad as well as full understanding of the message you address to your prospective customers. 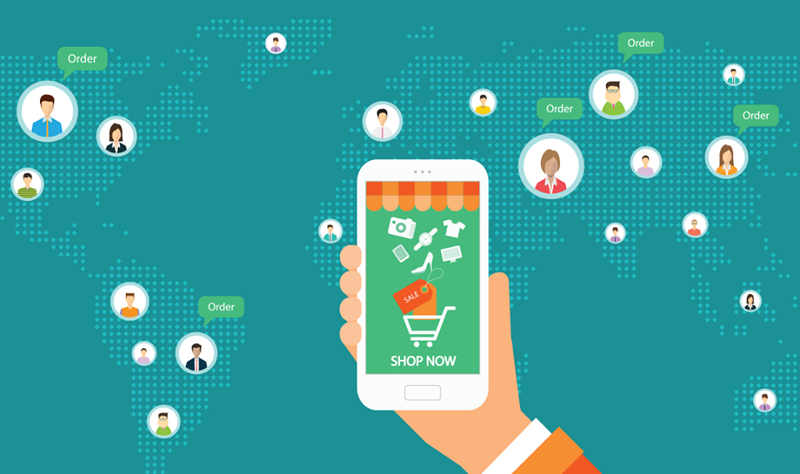 As the localization process is much more complex and tedious than mere translation, before you decide to adapt e-commerce content, you should answer several key questions. First, you must specify who your prospective online customer is. Sometimes our plans, or simply dreams, may turn out completely misbegotten. It is much better to start localization only when you are sure that a given demographic group meets the criteria of your clients. You can check this, for example, in Google Analytics, where you will see where the people who visit your site come from. The results may be sometimes confusing, yet this is the first hint. You can also do some market research, check whether your product is in demand in a given region and only then develop the right communication strategy for it. You must also be aware that you will have to send physical products to your customers. It may turn out that not every region will be optimal for you with regard to costs. High shipping costs can also discourage customers, who may withdraw from the transaction even at the end of the purchase. Hence, remember to take all these factors into account and target the right market. You also have to bear in mind that people buy online those products that are not available in our country or whose quality—when bought on the web—is much higher. There is quite a lot to do but, fortunately, you can, or even should, commission everything to specialists. A professional translation agency will help you determine which languages will be of importance to your business and what exactly you have to do to adapt your store to the needs and expectations of foreign customers. Localization is a way to build long-lasting relationships with foreign customers. By localizing, you can build apt parallel communication and create marketing messages consistent with your company’s strategy. Once you have understood the needs of foreign customers, you will be able to respond to them properly. You will establish contacts with the existing and prospective customers. A localized e-commerce business can become a platform for expressing opinions about your products and customers who will feel secure in your store will be happy to share this with others. Yes, relationships are very important to you and your sales, but they are not an end. Having developed consistent, reliable and understandable communication, you will be able to significantly enhance your presence in search engines, and thus increase your sales conversion rate abroad. So, localize and translate what will help you increase your sales. You should also remember that you must localize and translate all your channels—not only your website, but also the application or profiles on social media. It is important that you make these decisions knowingly, fully aware of the needs of your business. So, let’s do it! If you need help with localization of your e-commerce store, don’t hesitate to contact our consultants. They will help you understand the translation and localization processes and make the best decisions..